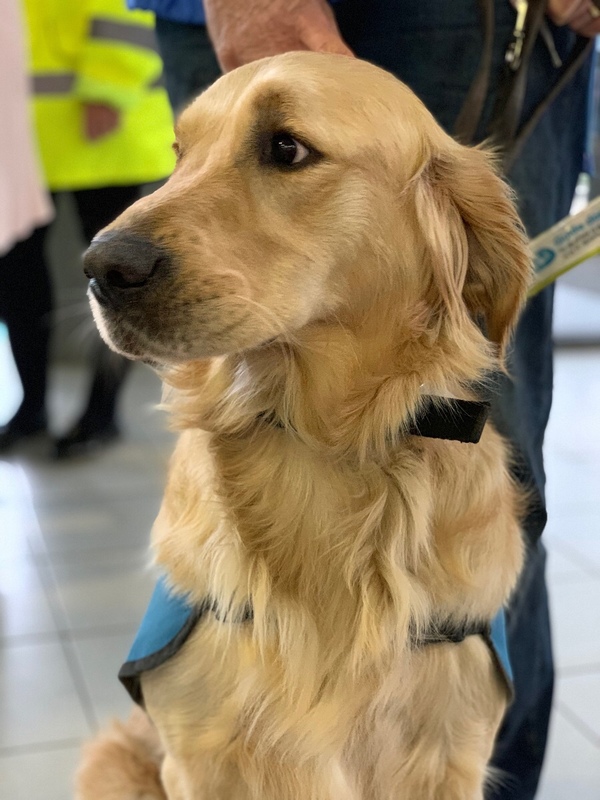 Runway, a 16-month old Golden Retriever puppy, is well on his way to becoming a fully-qualified guide dog after attending a graduation paw-ty at London Southend Airport today (Tuesday 5 January). 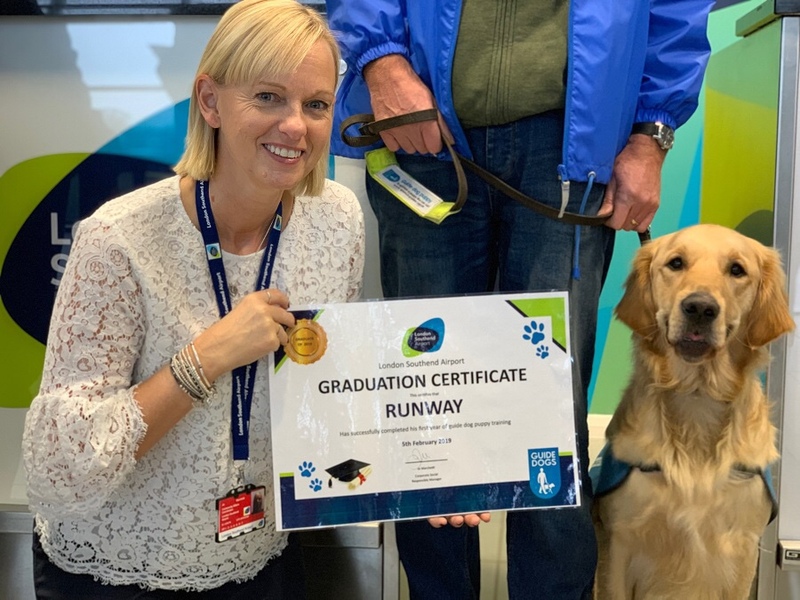 Runway joined staff at the airport and fellow guide dogs Polly, Quincy and Layla to celebrate his graduation with a doggy cake from Wilma’s Bakery in Leigh-on-Sea made with carrots, honey and other secret dog friendly ingredients. He also received a special certificate, commemorating his successful completion of basic training. Throughout 2016–17, London Southend Airport’s owners, Stobart Group, offered an Employee Donation Scheme. Ninety airport staff decided to pool their contributions together and donate £4500 towards sponsoring a Guide Dog for the Blind. £500 from the London Southend Airport Community fund topped-up the total sponsorship figure to £5000 – the complete cost of training of a guide dog puppy.